Townsville City Council recognises that the incorporation of public art contributes to an attractive and stimulating built environment, and to the community’s appreciation and knowledge of the visual arts. 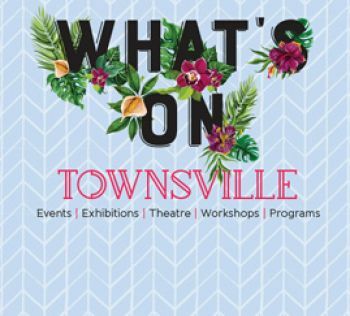 Public artworks are also important as they have the ability to improve the quality of life and the environment, reinforce the unique identity of Townsville, and acknowledge the cultural diversity of contemporary Townsville, and the Indigenous and non-Indigenous heritage of the city. There are over 70 public artworks currently on permanent display throughout the city. To view a list of these works, please click the link below. If you're looking to enjoy some of the city's public art, you can take a day trip to the Riverway precinct and stroll the public art trail, or see the permanent artworks located along The Strand, in the CBD, and in other areas of the city. Townsville is also the home to Strand Ephemera, a biennial outdoor sculpture exhibition. These temporary public artworks transform The Strand foreshore for 10 days, with the next outdoor exhibition taking place in 2019. The community atmosphere of Riverway is further enhanced by unique art pieces created by local artists. Each piece reflects the Riverway environment and sculptures throughout the landscape encourage interaction. Located in the foyer of the Riverway Arts Centre, Energy Field is a piece that consists of threads of multiple river stones along stainless steel wires to create the effect of a three-dimensional painting. The artwork is visible from the Riverway Lagoons and is a significant foyer feature for the theatre and Pinnacles Gallery. Energy Field was developed by artist Jodie Cox. The walkway joining the Riverway Arts Centre to Riverway Stadium will feature several sculptural elements by Queensland Artist Daniel Templeman. The works are designed to enhance the viewer’s experience of Riverway. The large-scale silver and red sculptures stand in contrast to their surroundings and aim to echo the ongoing activity of Riverway. Daniel Templeman has built several public sculptures, both in Queensland and interstate, most notably the entry statement sculpture Confluence at the Brisbane Magistrates Courts. His practice focuses of articulating complex meaning through simple forms that both respond to and alter their surroundings. Smarteez is an artwork by Hew Chee Fong and Loretta Noonan. The pop art installation is designed with fun and a sense of play, for children and the child within envisioned. In a series of pure sculptural forms carved from Australian granites, seven smooth disks resemble lollies or board game pieces laying scattered across the beach and lagoon. The 'Smarteez' appear as though they were accidentally dropped. One gleaming black disk looks about to topple in the freeze-frame composition, imbuing the work with kinetic drama. The tactile surfaces and channels created between the forms invite interaction from swimmers. For more information, please phone 13 48 10 or contact Perc Tucker Regional Gallery.